I’m always looking for portable and delicious recipes I can take to work for lunch. This recipe is so simple I debated even posting it and my measurements are just a place to start; you can use whatever combination of basil/olive oil/garlic/lemon juice/balsamic vinegar that you like! This pasta salad will get tastier as it sits in the fridge for a few hours or overnight and is perfect for lunch leftovers the next day. You could serve it on a bed of spinach or lettuce if you wanted to up the greens. 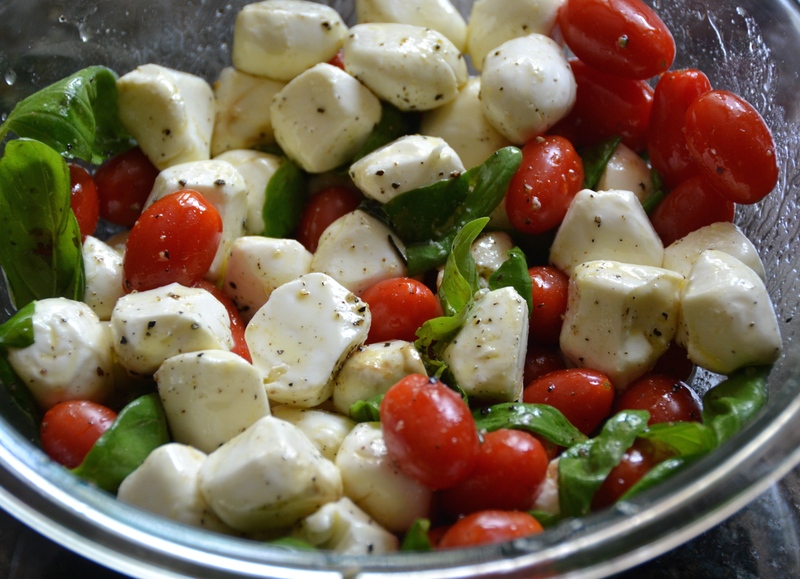 I think it would also be great with roasted tomatoes like my Roasted Tomato Feta Salad recipe.